A Mandala on its own is a beautiful work of art. 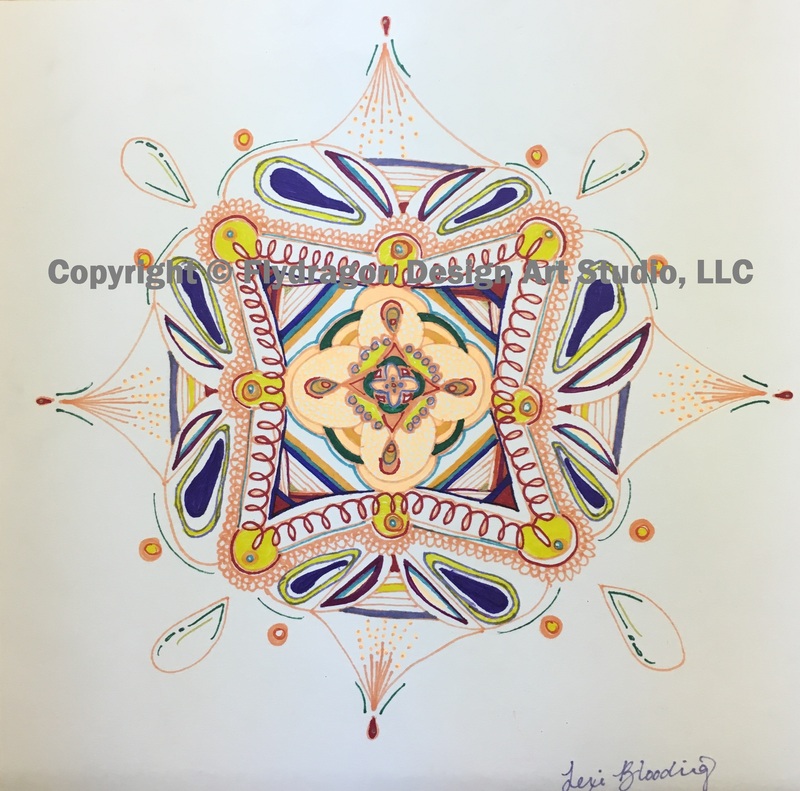 Mandalas are sometimes created in different cultures and religions (Hindu, Buddhist, Tibetan) for spiritual awakening and growth in a reminder of one's connection to the universe. The word "mandala" means circle. Typically, a mandala is started at the center of the page with a dot or circle. The artist then thinks of a shape, line or curve and adds it to the dot/circle. That form is repeated around the circle a number of times. The next form that pops into the artist's mind is added, and repeated around the circle. You will create your mandala on high quality paper using markers or pens. You may color your mandala as you go, or complete the coloring at the end. When your mandala is complete you have the option of having us create a set of greeting cards for you using your design. You can take your art work with you, and pick up the cards and envelopes at a later date. Soothing, zen-like, music is played in our two hour Mandala sessions. This is a relaxing, meditative class. 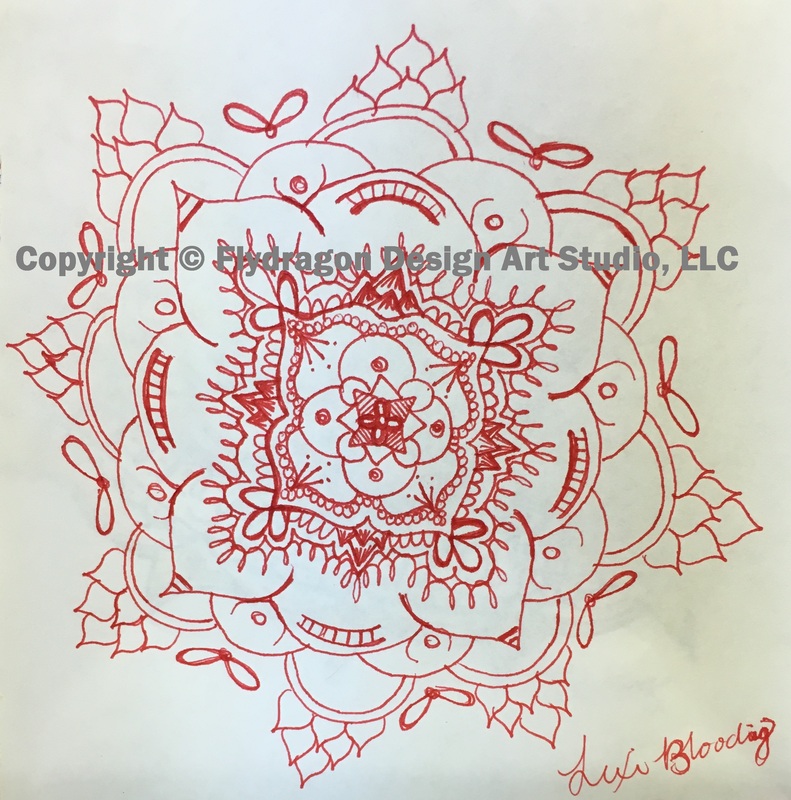 This gallery contains our customer's mandalas. Enjoy!